Feline Pancreatitis can be difficult to diagnose, it presents symptoms which can be associated with other conditions and can therefore be over looked initially. I have personally recently experienced this situation with my own cat. Who had to undergo a few tests before Pancreatitis could be ruled out. I was lucky I had a vet who recognized the symptoms and tested right away for the condition. Thankfully in my case it was finally ruled out, but having found out more about it I thought it was important to let other cat owners know about the condition and make them aware of the symptoms etc. 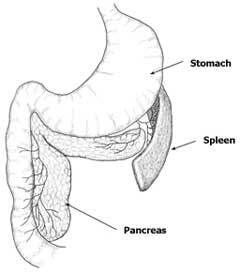 The Pancreas is an organ situated near to the Liver and the stomach. Its job is to excrete enzymes which help to break down proteins, fats and carbohydrates and hormones which regulate blood sugar, into the bloodstream. Both of which prevent damage to Liver and help the body function correctly. The simple answer is that it is the inflammation of the Pancreas. The condition can be either acute (happens suddenly) or chronic (has been happening for a period of time). The inflammation causes the Pancreas to become vulnerable to the enzymes it produces and which can, over time start to digest the pancreas and cause damage. Neighboring organs such as the Liver can also become damaged. The earlier the illness can be diagnosed and treated the better before permanent damage is caused. Dehydration (to test for dehydration pinch the fur behind the cat's neck. It should snap back straightway, if not then the cat is dehydrated. The following symptoms are not always present but are also an indication of the illness. Frustratingly the cause of most cases of Feline Pancreatitis cannot be determined. My own vet was unable to tell be any different, I assume that there are many factors which can contribute to the onset that it is simply too vague to be able to pin it down to one cause. However when the vet checked your cat he will consider if any of the following are present which have been associated with being a cause. It is important that you take your cat to see a vet as soon as you can as the condition can worsen very quickly. 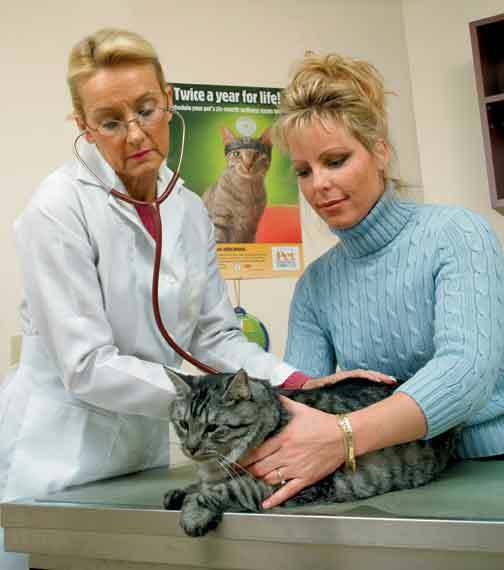 Physical Examination - Your vet will perform a general physical examination of the cat to look for any obvious signs of injury or other infections. Medical History - He will also ask you for a medical history of your cat as this may also help to diagnose the cause of the illness. Blood tests will also need to be carried out to measure levels of enzymes, glucose and proteins which will indicate whether or not your cat is suffering from Pancreatitis. X-rays - to eliminate other possible abdominal problems. Ultrasound - which can check the size and shape of the Pancreas. Surgery - to examine the organs more closely. Biopsy of the Pancreas or Liver. If an underlying cause for the condition is found this must first be treated. However in most cases the vet will provide supportive treatment for your cat i.e. to ease dehydration your cat will need to be put on a drip for awhile until there levels are back to normal. If the cat is vomiting, antemtics will be prescribed to ease the nausea. If there is an infection present, antibiotics will be prescribed. In severe cases surgery to remove damaged parts of the Pancreas may be required. 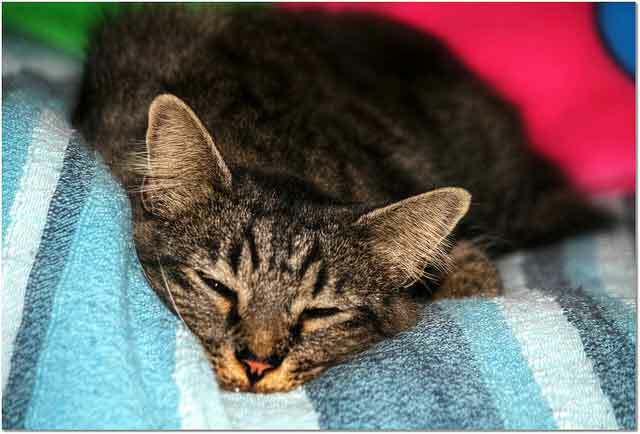 If caught and treated early enough most cats will have a good prognosis and should recover in time. However where severe damage has been caused and where other complications such as fatty liver disease is present the cat's outlook may not be so good. This will be something your vet will discuss with you.